Delhi High Court Admit Card 2019: Below are the admit cards published by Delhi High Court - High Court of Delhi / applycareer.co.in. The recent Admit Card issued for the recruitment drive is Sr Personal Assistant Admit Card 2019. Delhi High Court Sr Personal Assistant Admit Card 2019: High Court of Delhi has issued the Admit Card on 22 Apr 2019 for Delhi High Court Sr Personal Assistant Exam 2019. Delhi High Court Junior Judicial Assistant (Technical) Interview Admit Card 2019: High Court of Delhi has issued the Admit Card on 05 Apr 2019 for Delhi High Court Junior Judicial Assistant (Technical) Exam 2019. Delhi High Court PA Typing Test Admit Card 2019: High Court of Delhi has issued the Admit Card on 03 Apr 2019 for PA Typing Test 2019. Delhi High Court Personal Assistant Typewriting Test & English Shorthand Test Admit Card 2019: High Court of Delhi has issued the Admit Card on 05 Mar 2019 for Delhi High Court Personal Assistant Exam 2019. Delhi High Court JJA Technical Admit Card 2019: High Court of Delhi has issued the Admit Card on 12 Feb 2019 for JJA Technical Exam 2019. 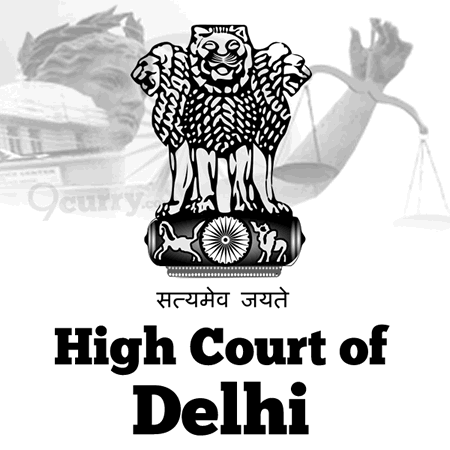 Delhi High Court Delhi Judicial Service Mains Admit Card 2019: High Court of Delhi has issued the Admit Card on 03 Feb 2019 for the exam. Delhi High Court Delhi Judicial Service Preliminary Exam 2018 Admit Card 2019: High Court of Delhi has issued the Admit Card on 08 Jan 2019 for Delhi High Court Delhi Judicial Service Exam 2018. Delhi High Court Delhi Judicial Service Exam DJSE 2017 Admit Card 2019: High Court of Delhi has issued the Admit Card on 05 Jan 2019 for Delhi High Court Judicial Service Exam DJSE 2017. Delhi High Court PA Admit Card 2018: High Court of Delhi has issued the Admit Card on 11 Dec 2018 for PA Exam 2018. Delhi High Court Delhi Higher Judicial Service DHJSE Main Exam Admit Card 2018: High Court of Delhi has issued the Admit Card on 26 Oct 2018 for the exam. Delhi High Court Delhi Judicial Service Main Exam Admit Card 2018: High Court of Delhi has issued the Admit Card on 04 Oct 2018 for Delhi Judicial Service Main Exam 2018. Delhi High Court JJA Interview Admit Card 2018: High Court of Delhi has issued the Admit Card on 30 Jul 2018 for the exam. 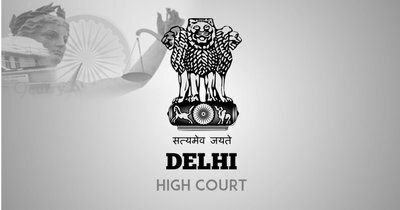 Delhi High Court - Court Attendant / Room Attendant Interview Admit Card 2018: High Court of Delhi has issued the Admit Card on 13 Jul 2018 for Court Attendant / Room Attendant Interview 2018. Delhi High Court Senior Judicial Assistant (Departmental) Exam Admit Card 2018: High Court of Delhi has issued the Admit Card on 02 Jul 2018 for Senior Judicial Assistant (Departmental) Exam 2018. Delhi High Court DHJSE Prelims Admit Card 2018: High Court of Delhi has issued the Admit Card on 11 May 2018 for DHJSE Prelims Exam 2018. Delhi High Court DHC DJSE Admit Card 2018: High Court of Delhi has issued the Admit Card on 25 Apr 2018 for the exam. Delhi High Court JJA/ Restorer Typing Test Admit Card 2018: Delhi High Court has issued the Admit Card on 18 Apr 2018 for Junior Judicial Assistant / Restorer Typing Test 2018. Delhi High Court Senior Judicial Assistant (Departmental) Admit Card 2018: Delhi High Court has issued the Admit Card on 01 Feb 2018 for Senior Judicial Assistant (Departmental) Exam 2017. AOJ/ Court Master 2017 Interview Call Letter: Delhi High Court has issued the Admit Card on 18 Dec 2017 for the exam. Junior Judicial Assistant/ Restorer Exam Admit Card 2017: Delhi High Court has issued the Admit Card on 27 Nov 2017 for the exam.